The word chiropractic combines the Greek words cheir (hand) and praxis (action) and means done by hand. Chiropractic (kye-roh-PRAC-tic) is a form of health care that focuses on the relationship between the body's structure, primarily of the spine, and function. Doctors of chiropractic, who are also called chiropractors or chiropractic physicians, use a type of hands-on therapy called manipulation (or adjustment) as their core clinical procedure. 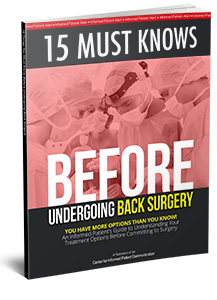 While there are some differences in beliefs and approaches within the chiropractic profession, this Website will give you a general overview of chiropractic, who needs it, how often, discuss scientific research findings on chiropractic treatment for low-back pain, and answer the most commonly asked questions and suggest other sources of information. Chiropractic works because you are a self healing, self-regulating organism, which is controlled by your nervous system. Signals and instructions flow from your brain, down the spinal cord and out to every organ, muscle, cell and tissue. Signals are then sent back to the brain to confirm if your body is working right. Improper motion and/or position of the spinal bones causes a condition called subluxation. Subluxations interfere with the vital exchange of information by irritating the nerves, which alters the function of organs and tissues. Specific spinal adjustments help improve mind/body communications. Health may then return with improved nervous system control of the body. A chiropractic adjustment is the art of using a specific force in a precise direction, applied to a joint that is fixated, locked up, or not moving properly. This adds motion to the joint, helping the bones gradually return to a more normal position and motion. 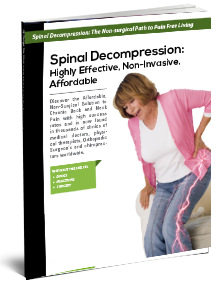 The purpose of this safe and natural procedure is improved spinal function, improved nervous system function, and improved health. We are sensitive to the issue of cost containment. With rising costs of health care and a slumping economy, we pride ourselves on keeping treatment affordable. Because each case is unique, the doctor will discuss cost pertaining to your case during the consultation. Many insurance plans cover chiropractic. Time payment plans are also available to ensure that you get the care you need today. All of our consultations are free of charge. This gives you an opportunity to meet the doctor and discuss your symptoms and treatment options. People of all ages are turning to chiropractic as a safe alternative to medications and surgery for acute and chronic pain. Traditionally, chiropractors served the needs of farmers and laborers through the first half of the Twentieth Century, but increasingly, people of all walks of life are turning to chiropractic treatment for relief of pain stemming from spinal injury or exposure to prolonged stress. With computer operation growing in American businesses, stress as a primary cause of spinal pain has come to afflict people of all rank and file. An increase in our weight and poor posture are resulting in more back pain than ever before. Those who suffer are beginning to choose the safe and effective alternative for head, neck and back pain: chiropractic. Nurses, bankers, brokers, manufacturers, couriers, airline pilots, publishers, reporters, professional athletes, police officers, accountants, attorneys and yes, even medical doctors are seeking out the services of chiropractic physicians. Older Americans and our children, too, can receive special benefits through gentle applications of chiropractic. Everyone is discovering the way to feel good naturally. What are Common Conditions Treated by Chiropractic? Rarely does chiropractic hurt. Modern techniques used today are comfortable and pain-free. The majority of chiropractic patients find being adjusted a pleasant experience. After years of training and experience and after giving thousands of adjustments, chiropractors develop expertise in using just the right amount of force in the right direction. This may require a quick movement, or in other instances, a slow gentle pressure. In comparison with other forms of treatment for back and neck pain, chiropractic is one of the safest methods available. Yes! In the words of the New Zealand governments inquiry, chiropractic care is remarkably safe. Chiropractic has an excellent safety record. It is the result of a conservative approach to health that avoids invasive procedures or addictive drugs. The argument about safety concerns is an example of junk science and a perennial favorite by those who have an interest in discouraging people from seeking chiropractic care. In other words, cases of serious injury are practically nonexistent. By comparison, it makes the deaths caused by over-the-counter-pain-relievers (more than 1,500 each year) to be considerably more troubling! Even risk-adverse insurance companies recognize the safety of todays chiropractic care. The premiums for malpractice insurance paid by chiropractors are a mere fraction of what medical practitioners must pay. Chiropractic care is safe. Maigne R. Orthopedic Medicine: A New Approach to Vertebral Manipulations. Springfield, Illinois, Charles C. Thomas. 1972; 155, 169. Cyriax J. Textbook of Orthopaedic Medicine. Vol 1. Diagnosis of soft tissue lesions (7th edition). London, Bailliere Tindall. 1978; 165. Hosek RS, Schram SB, Silverman H, Meyers JB. Cervical Manipulation. J Amer Med Assoc. 1981; 245:922. Gutmann G. Verletzungen der arteria vertebrailis durch manuelle therapie. Manuelle Medizin 1983; 21:2-14. Dvorak J, Orelli F. How dangerous is manipulation of the cervical spine? Manuel Med 1985; 2:1-4. Carey PF. A report on the occurrence of cerebrovasular accidents in chiropractic practice. J Canada Chiropractic Association 1993 (June);37 (2): 104-6. Dabbs V Lauretti WJ. A risk assessment of cervical manipulation vs NSAIDS for the treatment of neck pain. J Manip Physio Ther 1995 (Oct); 18 (8): 530-6. Klougart N, Leboeuf-Yde C, Rasmussen LR. Safety in Chiropractic Practice. J Manip Physiol Ther 1996 (Jul-Aug); 19 (6): 371-7. If you have more questions, please go to the Common Questions section or call us anytime.